Now. have you always dreamt to have a star like beauty? Do you wish to make the mirror to be your best friend? Your mirror will be friends if only you like what you see in it. Not when you see a dull looking face and visible scalp indicating hair fall. What if you get access to a natural and safe treatment giving effective results for your hair fall, irrespective of the reason? We often dream about having thick, shiny and bouncy hair with lustre the one we commonly see in advertisements. Uneven skin tone can often be the cause of depression and low self-esteem in an individual. Tired of using expensive cream and facials? Still not happy with the results? Now you can improve the feel and texture of your skin with simple natural remedies. Thank your stars for you have landed on the right page and is about to get relief from your many problems. Nigella seeds or black cumin seeds provides with various skin and hair benefits and more. The ample of benefits that come along with these seeds are listed below. Have a supple and glowing skin that’s the reason of everyone’s envy around! The black seeds help in regenerating your skin’s texture with the help of essential fatty acids like linolenic present in it. The reason these acids are essential is because they are not naturally produced in our body system. The seeds are a must have if you’re looking for youthful and radiant skin. And no wonder they are being termed as the ‘de rigueur’ of today’s times. Be the talk of the crowd with your porcelain beauty. Scroll down to unlock the secret to perfect skin texture and glow. For all the honey lovers, now include your favourite sweetener in your beauty care regimen. Make a paste of honey and Nigella seeds and apply it on your face. Allow the mixture to be put in for half an hour on your face. Once you wash you get an instant glow. No need to panic if you need to be at an important function in one hour’s time. Acne and the problems associated with it can be a constant mood spoiler and cause of worry especially in the teenage years. If you are facing the problem of stubborn acne and pimples on your face, give black seeds a try. Make a paste of apple cider vinegar and cumin seeds. Apply this mixture on the affected area or dark spots and leave it on for a while until it dries. Apply it on a regular basis and see the results within a month. And now look in the mirror and proud ask who is the prettiest of all? Dry skin results in a dull looking skin. Black seeds provide relief to those suffering from dry skin problem. Make a mixture of black seed powder, Nigella seed oil and sesame seed oil and the blend the mixture well. Apply this mixture on your dry skin on a regular basis. Within a week’s time you will find wondrous changes in your skin and enjoy soft and moisturized skin tone. As a child we, always wanted hair like rapunzel? Now be the Rapunzel of your life by trying these wonder seeds. Cumin seed oil is a blessing from nature and promotes hair growth and curbs your hair loss problem. The oil works best for dry hair and acts like a natural moisturiser for your hair and is a promising remedy for all your hair problems. No one like seeing strands of hair left on the floor or their hair brush after daily combing! The black seed oil saves you from this heart breaking moment. The oil is one of the best hair growth stimulator and makes the hair follicles strong and promotes longevity. This in the long run ensures strong and healthy hair roots. In India, Black seeds as a spice is used since time immemorial in Indian curries. There are various herbal and medicinal benefits attached to these seeds and are being used since very long for the same in our country. They are a wide range of benefits that the cumin seeds have in store. Look below to find the solution for one of your problems. Brain: The perfect remedy for being the beauty with brain persona. According to a popular research, the Nigella not only provides you with a pretty face, but an equally sharp brain as well. The seeds help in increasing the memory power and provide retention. There you have one logical reason to try cumin seeds today! Diseases and conditions: The black cumin seeds offer the best results for various ailments and chronic diseases. They are rich in chemicals that ensure the overall health benefits to its consumers. The chemicals present in the seeds works efficiently to treat away asthma, nausea and all your heart related problems. It also provides relief from hypertension, meningitis and cure diabetes. The efficiency goes to an extent of even treating the cancer problem. Immunity: Having a strong immunity provides a shield from various diseases and ailments. A weak immunity can result in low energy, poor health and sickness prone body. The Nigella seeds are known as an “immunity enhancer’. They are useful even while treating a deadly disease like AIDS. A strong immunity goes a long way in providing overall wellness of the body. The seeds are found to provide two major benefits to the consumer one being a strong immunity and the other, long lasting beauty. The black seeds are known by their botanical name, Nigella Sativa. 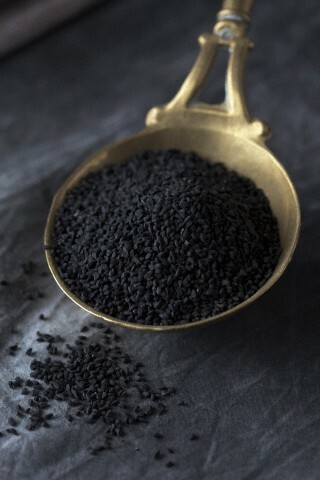 In India, people commonly know it by the name Kalonji or black cumin seeds. It is one of the major ingredients when looking out to add a unique flavour and taste to your cuisines and is one of the oldest used spices in Indian cooking. I also have been using black cumin for 10 months. Now I can see a visible fairness. Can use cumin paste daily on face ….